Roosevelt High School in Johnstown, Colorado, has transformed under the guidance of their new yearbook advisor, Alan Gibson, who took over just as yearbooks were transitioning from grids and cropping crayons to the digital age we now know. He was a former student of the retiring yearbook advisor, and he was excited about taking on a new challenge as well as a new adventure. However, when he took over the class in 2003, he didn’t realize the costs typically associated with their established yearbook program, and he realized that the school would end up with a deficit in the thousands if they did not modify key aspects of the yearbook program. Mr. Gibson began researching companies that could deliver a quality product and at the same time help to alleviate financial worries. In 2011, he found Entourage Yearbooks was a company who could deliver on their promise of producing a superb yearbook and, at the same time, keep Roosevelt on track financially. Entourage’s commitment to providing cost-effective products as well as fundraising tools has enabled schools, such as Roosevelt High School, to maximize their savings and escape the cycle of financial difficulties which constrains the potential of yearbook programs. With those savings, Roosevelt High School has been able to invest in technology as well as educational programs at the school. Students at Roosevelt have benefited from the purchase of new cameras, new computers, new software and larger monitors which have helped them to grow the yearbook program. Additionally, Mr. Gibson has been able to fund the entire broadcasting and publications program with profits the school generates from the yearbook sales. The benefits to the broadcasting and publications programs are reciprocal as the yearbook program is now able to advertise for their project using the school’s media system. Mr. Gibson expressed “We grow as Entourage grows”. On Roosevelt’s campus, yearbook is now a class that is in high demand. Comprised only of 30 seniors, there is always a wait list. One of Mr. Gibson’s former students has even come back year after year to serve as a consultant. The Roosevelt community has shown that, with the right tools, schools are able to create yearbook programs which are financially sustainable and will pay it forward for future generations. 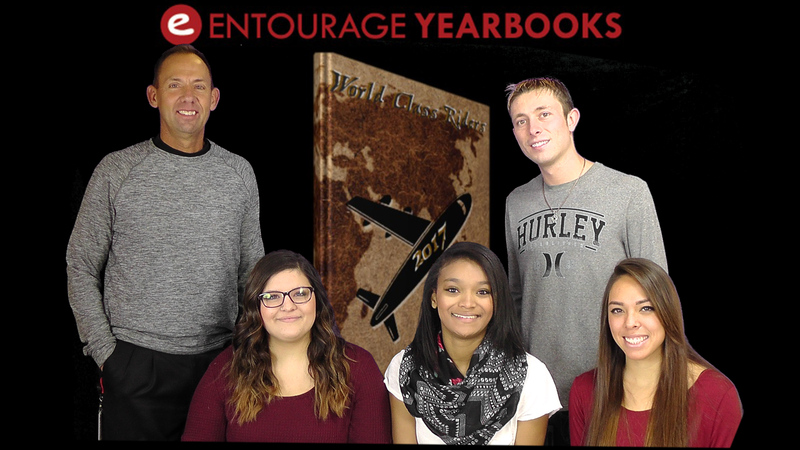 For more information about Entourage, please reach out to Judy via email judy(at)entourageyearbooks(dot)com or at 888-926-6571, ext. 71.